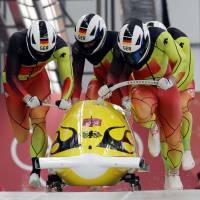 PYEONGCHANG, SOUTH KOREA - Francesco Friedrich’s four-man German bobsleigh team won gold on Sunday with their victory at the Olympic Sliding Centre completing Germany’s sweep of the bobsleigh gold medals. 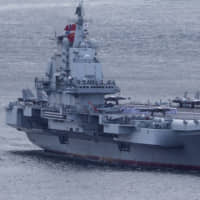 The German unit, piloted by the powerfully built multiple world champion Friedrich, finished with a combined time of three minutes, 15.85 seconds. 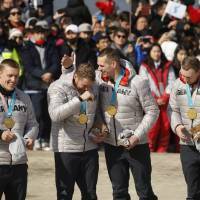 Despite its fourth run of 49.53 being their slowest as it defended its lead, the team were still 0.53 seconds ahead of Won Yun-jong’s South Korean side, which tied with the second German team piloted by Nico Walther for the silver. 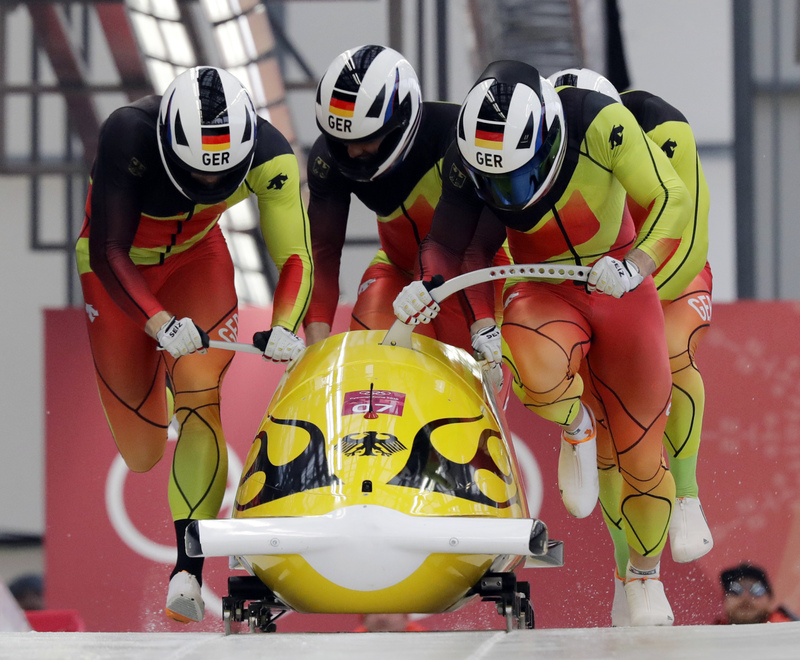 Germany, the traditional bobsleigh powerhouse, failed to make the podium in the four-man event in Sochi four years ago. “It was a really stressful week now it is finished and I am happy we have done it,” said Friedrich. 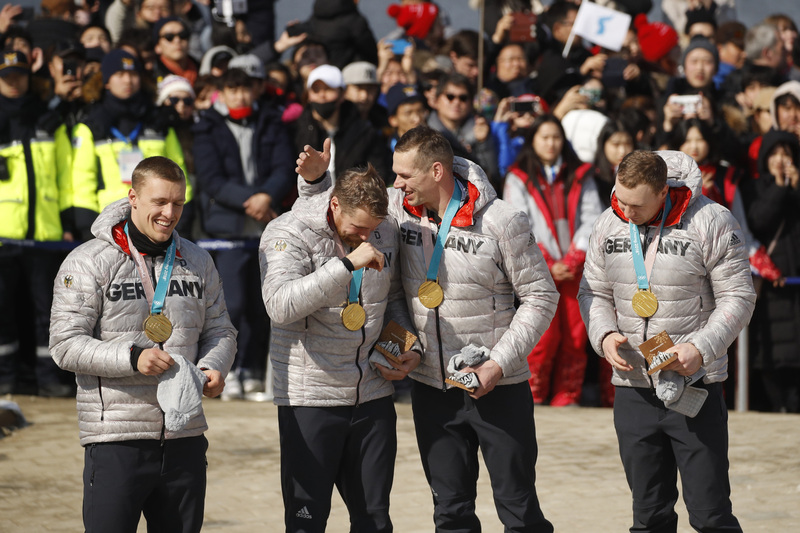 The German pair of Friedrich and Thorsten Margis shared gold with Canada in the two-man event on Monday after a dramatic dead heat. With Germany’s Mariama Jamanka and Lisa Buckwitz winning the two woman race, Germany has won all three of the bobsleigh golds in Pyeongchang. “I am so proud of the whole German team. We did it in the two-man and the four-man and also the girls’ gold, which wasn’t expected,” said Friedrich. 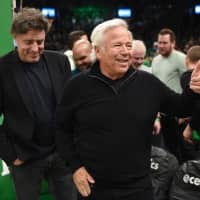 The healthy-sized home crowd lapped up the chance to see their own team battle for a medal and Won was delighted to have his team’s efforts rewarded. “I couldn’t believe it. It was only in my imagination. 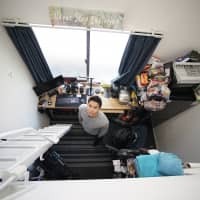 I was so happy with the result,” he said. 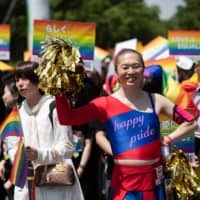 “There were so many people behind us. We have our team and a lot of sponsors, everyone worked as a team so that we could get this result. I’d really like to thank them,” added Won. The second German team included four-time gold medal winner Kevin Kuske, who decided at the age of 39 to enjoy one more attempt at a Games and ended up with a silver. Pilot Walther paid tribute to the veteran pusher. “I am so proud of our team, especially Kevin. 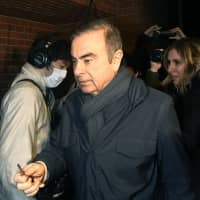 He has four Olympic gold medals and he decided after the disappointment of Sochi that he would do four more years and we wanted to win a medal for him,” Walther said.